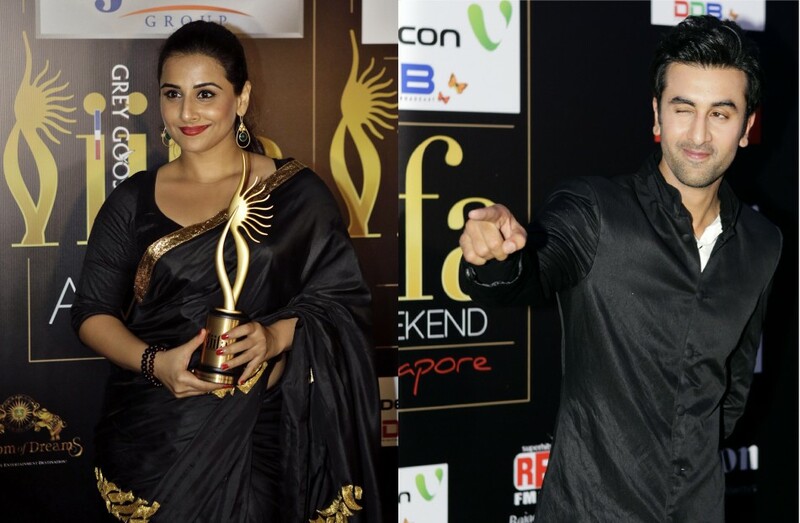 ‘Jindgi Na Milegi Dobara’ & ‘Rockstar’ are winning four trophies & rocking in 13th international Indian film academy (IIFA). Zoya Akhtar’s ‘Zindagi Na Milegi Dobara’ won Best film, best story, Best Actor in supporting role for farhan akhtar & Best director for zoya. Imtiaz Ali’s ‘Rockstar’ won Best Actor for Ranbir, Best Music Direction for AR Rahman and Best Lyrics for the song and Best Playback Singer male for Mohit Chauhan for ‘Nadaan Parindey’. In the movie Ranvir play role of an Aspiring singer who dream to become big man & walk away with the trophy. 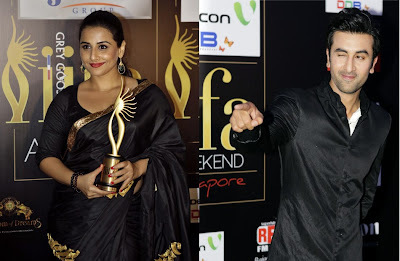 Once again in award actress Vidya Balan won Best Actress in a leading role for ‘The Dirty Picture’ & emerged her present among Priyanka Chopra, Kareena Kapoor, Mahie Gill and Kangna Ranaut. Best playback female singer award won by Shreya Ghoshal for her song ‘Teri Meri’ from the film ‘Bodyguard’. Parineeti Chopra won two awards for Best Debut Female and Best Actress in a Supporting Role female for ‘Ladies v/s Ricky Bahal’. She could not control her emotion react by her tears. Best Debut male award went to Actor Vidyut Jamwal for his performance in ‘Force’. Best Performance in a Negative Role award went to Veteran actor Prakash Raj for ‘Singham’ other nominees with him was Naseeruddin Shah for ‘The Dirty Picture’, Irrfan Khan for ‘7 Khoon Maaf’, Boman Irani for ‘Don 2’ The award for Best Performance in Comic Role went to Riteish Deshmukh for the film ‘Double Dhamaal’. It was hosting by shahid kapoor and Farhan Akhtar & dance performance by Sonakshi Sinha, Bipasha Basu, Prabhu Deva, Priyanka Chopra, Shahid Kapoor, Rishi Kapoor and Ranbir Kapoor. Filmmaker Ramesh Sippy was honoured at the gala for his outstanding contribution to Indian cinema, Zohra Segal was received special award for her contribution in Indian cinemafor 100 years. Yesteryear`s actress Rekha was honoured for her outstanding achievement in Indian cinema also Liv Ullmann was honoured for her contribution in international cinema.